The magical Golden Tome contains powerful druid knowledge, collected through the centuries. Hidden in a cave by six sages, the Tome must be protected from greedy villains! 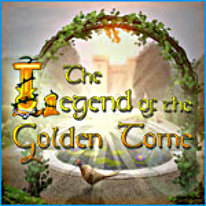 Explore mystical places and solve puzzles in 90 gripping levels. Search colorful scenes to collect crystals, and open the gates to meet your destiny. Enjoy wonderful graphics, addicting gameplay and a fantastic story, covering the life of Aidan, the druid magician!